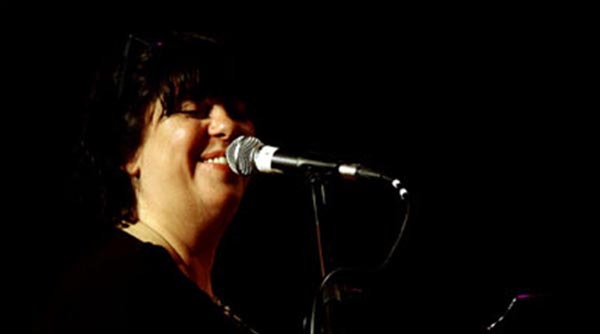 Liane Carroll is one of the UK's most respected and popular jazz vocalists. She was born in London and grew up in the coastal town of Hastings, Sussex - reflected in her great 2015 album Seaside, and in London. She started learning the piano at the age of three, began composing at the age of eight and has been a professional singer, pianist and composer since she was 15. She became a session singer with a range of bands and has worked with many artists ranging from Sir Paul McCartney, Gerry Rafferty, Ladysmith Black Mambazo, with Ian Shaw, and so many others. 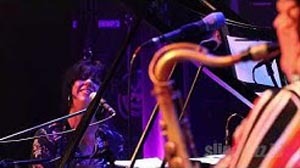 She is a regular performer at the top UK Jazz Clubs and involved in a range of projects. Her string of nominations and awards speaks volumes for the esteem in which she is held. They include: Winner: Best Vocalist and Best of Jazz - BBC Jazz Awards 2005; Winner: Musician Of The Year - British Parliamentary Jazz Awards 2008; Winner: Best Jazz Album of the Year - Parliamentary Jazz Awards 2012; Nominated: Best UK Vocalist of 2012 - Jazz FM Awards 2013; Winner: Best British Vocalist - British Jazz Awards 2013; Winner: Best new CD - British Jazz Awards 2015 (Seaside); Nominated: Jazz Album Of The Year - Parliamentary Jazz Awards 2016 (Seaside); Nominated: Vocalist Of The Year 2016 - Jazz FM Awards 2016; Winner: Best British Jazz Vocalist - British Jazz Awards 2016; BASCA Gold Badge Award for Services to Music - 2016. On YouTube you can enjoy her performing a range of solo studio videos (e.g. Skylark from her 2017 album The Right To Love), duets with vocalist Ian Shaw, and other videos with various bands. There are many to choose from - I have picked this video of Liane with the Sligo Project Big Band in July 2018 and Malcolm Edmonstone's arrangement of Donald Fagan's The Goodbye Look (from his Nightfly album). Soloists include Linley Hamilton (trumpet), Ciaran Wilde (alto sax), Mick Marshall and Paul Frost (trombones) - click here. Click here for Liane's website where you will find details of her gigs around the UK this year. Originally from Australia, Nishla Smith lived for a while in Germany and is now based in Manchester. Nishla is a singer and songwriter who defies easy categorisation. Nishla's live sets have been described as including 'a breathtaking variety of material: from celebrated originals to dark jazz standards and devastating ballads'. One of Manchester Jazz Festival’s talent development artists and a prolific collaborator, Nishla has worked with some of the most creative jazz and classical musicians in the UK. She is currently working on a narrative song cycle produced by Opera North, and her original project has shows at NQ Jazz, The Vortex and Newcastle Arts Centre. Click here to listen to Nishla singing Just One Of Those Things. Opera North’s Resonance project was launched in 2017 and offers professional artists working in all genres the opportunity to develop new performance ideas. Successful applicants receive up to a week of free rehearsal space in central Leeds in March and April 2019, a grant to cover fees for those involved and other costs, support and advice from technicians, producers and other specialists, and an optional ‘work in progress’ performance. Nishla's work on the song-cycle tells the story of her grandmother's sister, Agnes, who disappeared as a child in Malaysia in the 1930s. It was her grandmother who inspired Nishla to start singing. Nishla is working with pianist Tom Harris and artist Luca Shaw to create a cross-genre narrative show. There will be a preview in April, at Opera North. People can keep in touch about it via Nishla's website. Nishla is married to cellist Will Hewer and together they have made a number of duet videos. Click here for their version of Paul McCartney's All My Loving, and click here for their take on Singing In The Rain. In September 2017, Nishla produced a major commission for Manchester Collective. 'Cabaret', was a collage of her original songs and reimagined classical and jazz repertoire. She toured throughout the UK, the work was performed live on BBC3's In Tune, and was later revived for a limited second run at Manchester Home's Push Festival, an annual celebration of the North West’s creative talents. In 2018, Nishla toured Australia; performed at Mona's summer jazz festival in Tasmania, and had a sell-out show at Melbourne's Paris Cat Jazz Club. After a summer residency at The Sage in Gateshead, Nishla closed 2018 with shows at Manchester Jazz Festival, Lancaster Jazz Festival, Matt and Phred's, and Band On The Wall. With support from Manchester Jazz Festival's hothouse talent development programme, Nishla will be releasing her single Blue Dream at the end of March, 2019. 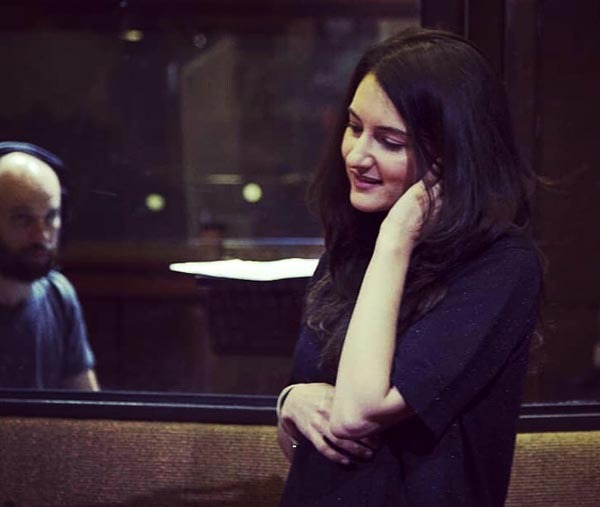 Nishla is currently working on a new project, a collaboration with Leeds-based sax player, Emma Johnson, and together they have shows booked through the year in Manchester and Leeds. Her regular Quintet includes Aaron Wood (trumpet), Rich Jones (piano), Joshua Cavanagh-Brierley (bass) and Johnny Hunter (drums) their forthcoming gigs include Newcastle Arts in May. playing Friends With Monsters and Julian with Rich Jones (piano), Jeff Guntren (saxophone), Rebecca Mills (harp), John Pope (bass) and Johnny Hunter (drums). Click here for Nishla's website where you will find details of her gigs around the UK this year. 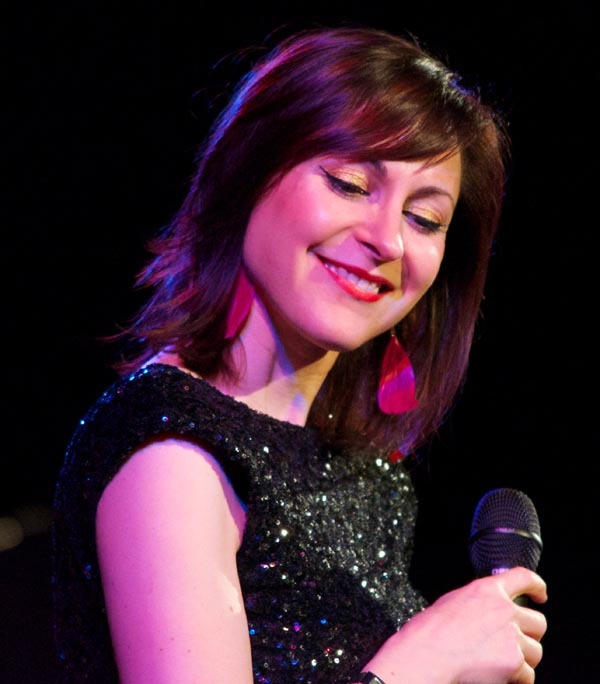 Georgia Mancio has been nominated in the category of Best Jazz Vocalist year after year in the Parliamentary Jazz Awards and British Jazz Awards. She has five albums to her name and her 2017 album Songbook, co-written with pianist Alan Broadbent, received much acclaim. Georgia's latest project, Finding Home, co-written and led with pianist/composer Kate Williams received a 4 star review from The Guardian for its debut performance and will be released as an album with accompanying tour in the spring. Now based in London, Georgia produces music that embraces a wide-ranging jazz repertoire alongside influences from her Anglo/Italian/Uruguayan heritage and her own writings. In 2010 Georgia launched her own international voice festival - ReVoice! - in association with the Pizza Express Jazz Club. To date Georgia has produced 5 annual editions of ReVoice!, performing 44 sets herself and presenting over 160 artists. Collaboration is a key element to Georgia's work and over the past two years she has followed ReVoice! with a project she calls Hang, a series of bespoke collaborations and new writing featuring the cream of the UK’s jazz, latin and improvised music scenes again at Soho's Pizza Express Jazz Club. Click here for Georgia's website and here for her gigs around the UK this year. 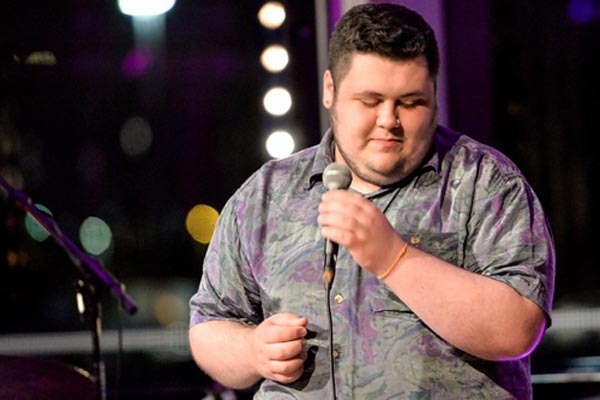 Luca Manning is a young jazz vocalist from Glasgow, Scotland. In 2018, he was voted ‘Rising Star’ at the Scottish Jazz Awards and was also nominated in the ‘Best Vocalist’ category. Now resident in London, Luca is in his second year at the Guildhall School of Music on the BMus (hons) Jazz degree course and has already played major London venues such as Pizza Express Jazz Club and Ronnie Scott's Jazz Club in Soho leading his own ensembles. He has also become a vocal chair holder with the National Youth Jazz Orchestra since January 2018. Listen to him and you can see why. Click here for Luca's website.